Shirt Info: Screenprinted on soft, comfortable, and socially responsible American Apparel or Royal Apparel 5051 and 2102 in SLATE! 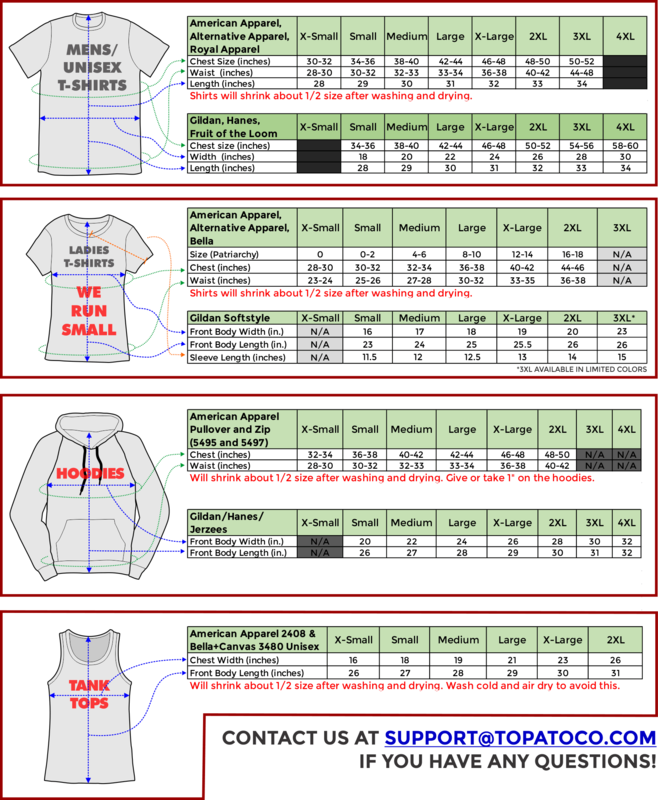 See sizing information first, ! 2XL AND 3XL COST MORE.